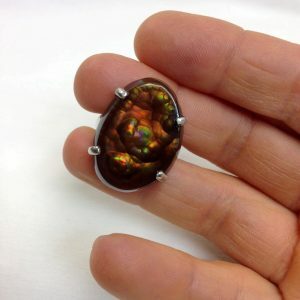 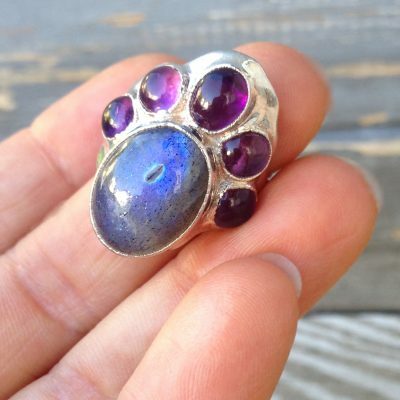 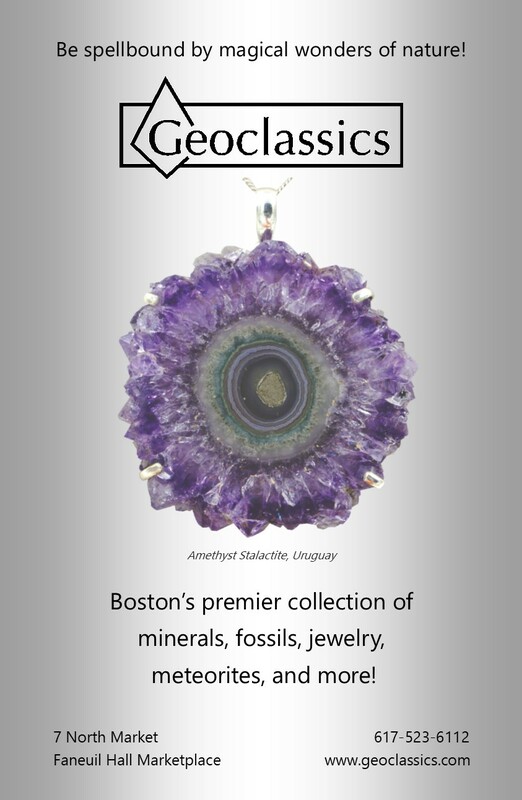 Labradorite oval cabochon with a crown of five amethyst cabochons. Set in sterling silver. 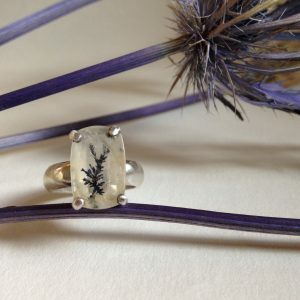 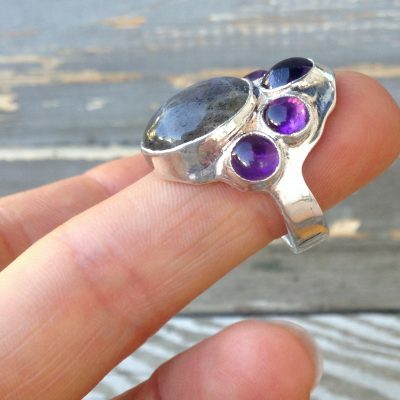 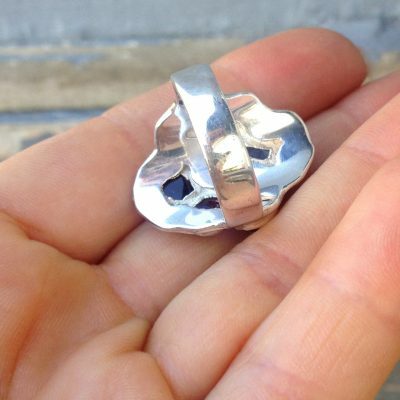 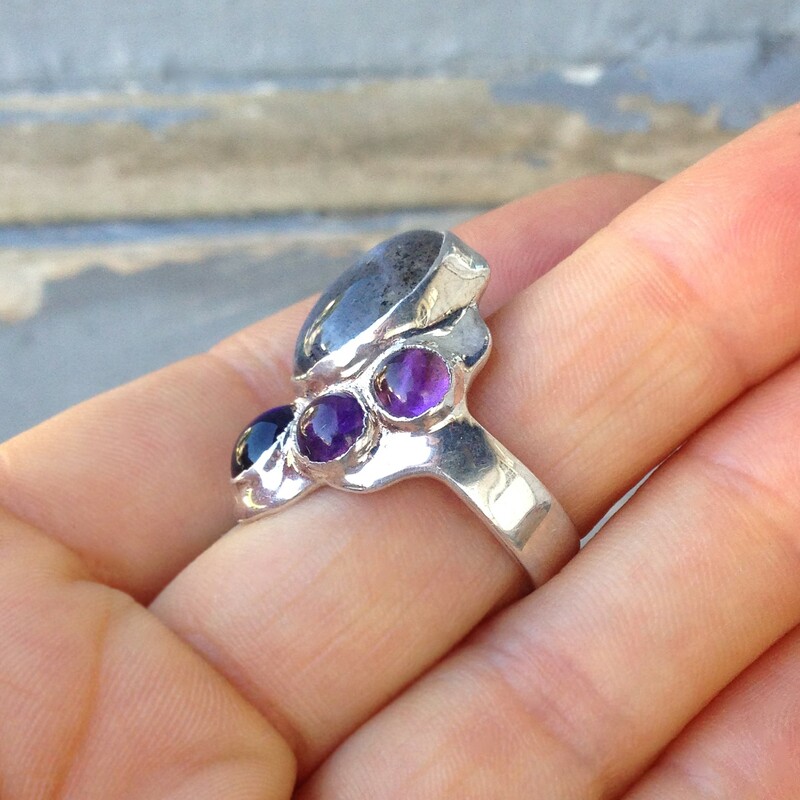 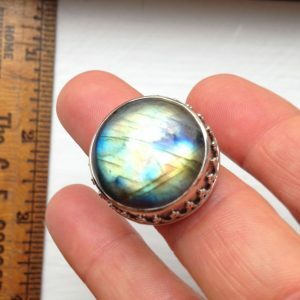 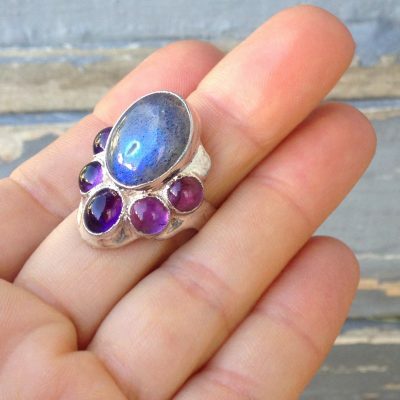 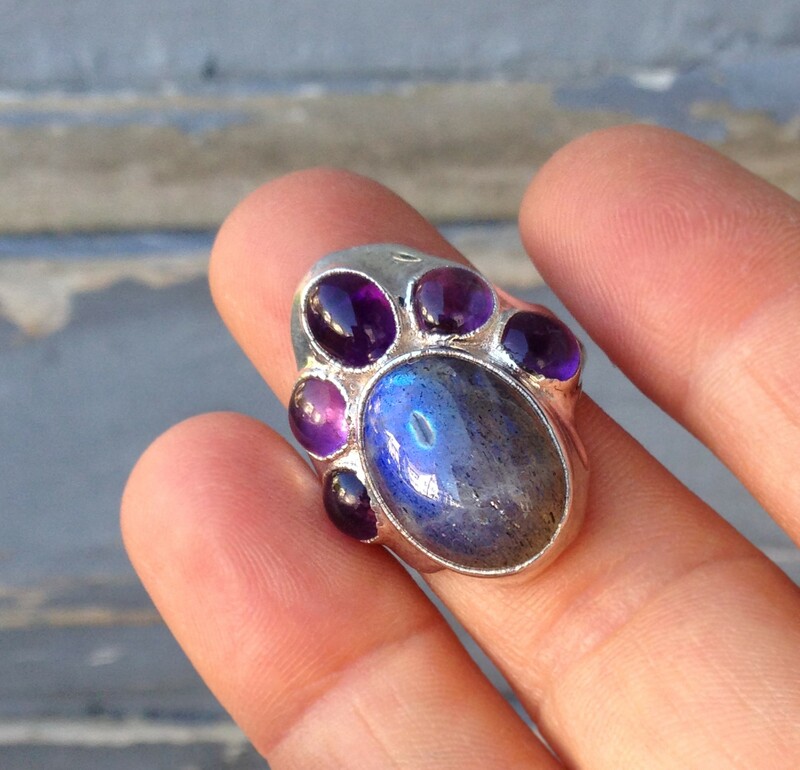 This unique ring is handmade by the amazing American artist/designer, Steven Ruse. 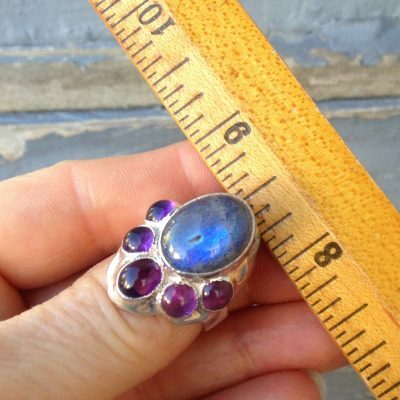 ***PLEASE NOTE*** THIS RING CANNOT BE SIZED!